In this hands-on webcast presented by Raymond Camden, he will cover some background and history of the PhoneGap project, what it provides, and the types of tools you can use to create mobile applications. Along with discussing the framework, we will also cover how to make use of the PhoneGap Build service to make it easier to deploy builds out to clients. 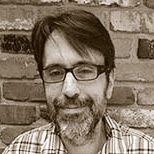 Raymond Camden is a senior developer evangelist for Adobe. His work focuses on web standards, mobile development and ColdFusion. He's a published author and presents at conferences and user groups on a variety of topics. Raymond can be reached at his blog raymondcamden.com, @cfjedimaster on Twitter, or via email at raymondcamden@gmail.com.